We had some great feedback about Sender Name Fuzzy Matching. 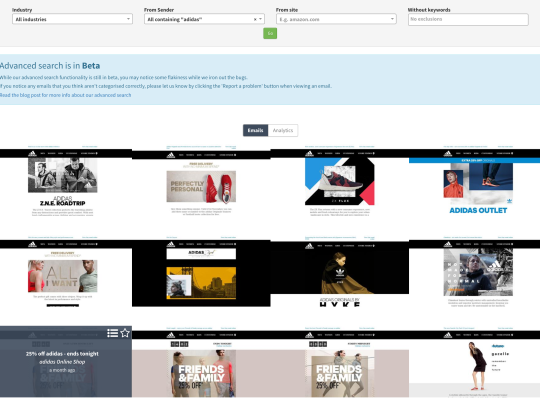 This is where you can collate all of the emails for a certain term, even if the Sender name can vary slightly.Previously you had to set up subscriptions for different senders / names to capture the full range of emails sent by some larger brands, for example Adidas. 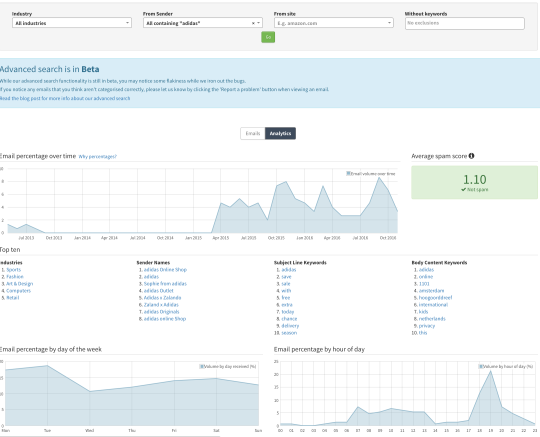 We decided to make things LOADS easier and allow for you subscribe using Fuzzy Matching on a term, collating all of the emails that have been sent by a sender name containing that term. 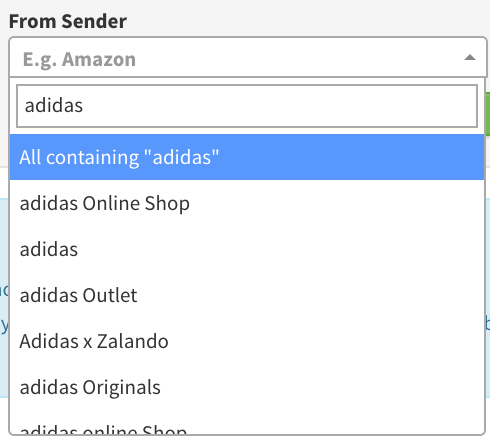 You can see here with the example of Adidas, who send emails under a variety of names, you now can get all emails containing the word “Adidas” even if the sender name would normally appear as “Adidas”, “Adidas Online Shop”, “Adidas x Zalando” etc. You can search using Fuzzy Matching in the Advanced Search function. We are really pleased with this, we hope you are too! !